Despite the fact that this particular sale contained a handful of Paul Newman Rolex Daytonas – vintage models that are unbelievably popular (and successful) at auction right now, and perhaps even more so after Phillips’ announcement of the upcoming sale of one of Newman’s own Paul Newman Rolex Daytonas – it was Richard Mille who stole the thunder at Christie’s June 21, 2017 “Watches And American Icons” sale in New York City. Two examples of Rolex Daytona Reference 6239 Paul Newman models, lot 48 and lot 45, respectively went for $271,500 and $90,000. The top Paul Newman performer was lot 44, a gold Reference 6264 with “lemon dial” that went for $871,500. The Richard Mille RM 056 Prototype No. 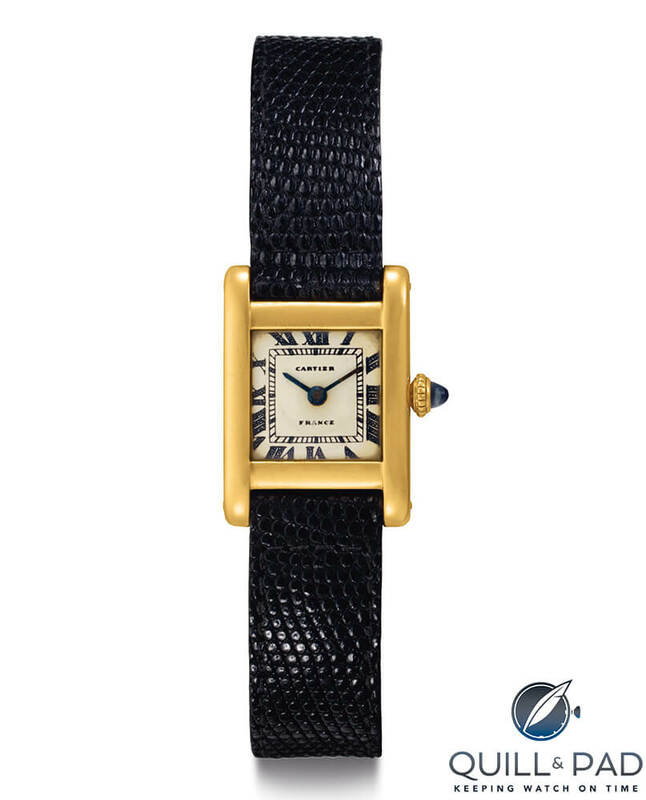 2 also beat out lot 250, the widely publicized Cartier Tank formerly belonging to Jackie Kennedy Onassis, which sold for $379,500. The Christian Klings Moon Phase watch, lot 216, which I wrote about in First Christian Klings Watch Ever Offered On Secondary Market Comes To Auction In Christie’s June 21, 2017 Sale Of ‘Rare Watches And American Icons’ In New York City, achieved $37,500, which is close to the high end of its pre-sale estimate. When the RM 056 was introduced at SIHH 2012 at the whopping retail price of $1.65 million, it quickly became a landmark in design and technology, quickly reaching cult status. And at that time it was so rare as to be unheard-of to find a timepiece housed in an entire case made out of sapphire crystal. 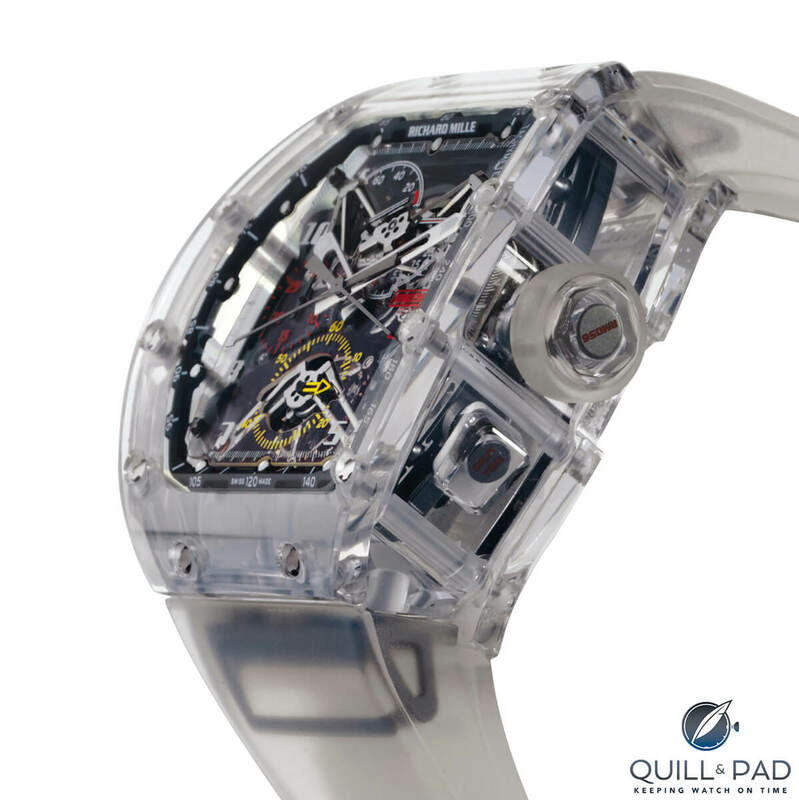 “This took years and years to develop,” CEO and head designer Richard Mille explained during that show. If anyone could accomplish such a rare feat, it is certainly Richard Mille, as evidenced by the foremost talking piece of the 2012 fair. Combined with a stratospheric pricing policy aimed at exclusivity, Mille opened the door to a new era in luxury watchmaking when he founded his brand in 2001. The RM 056 Felipe Massa Sapphire revisits a manually wound tourbillon made for friend and Formula One race car driver Felipe Massa from 2004. 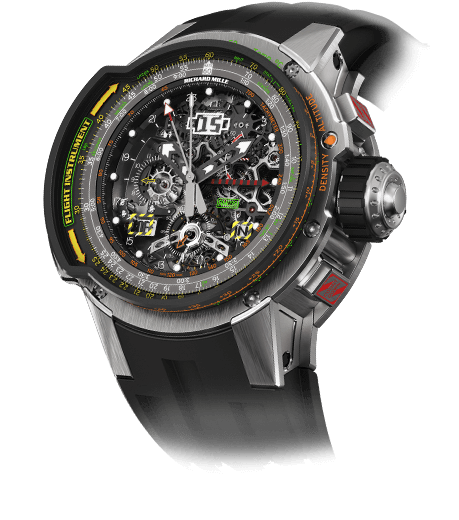 It contains a split-seconds chronograph (which can take intermittent timing) with torque and function indicators; the former displays the power available, while the latter displays the function that the crown is set to operate.  In addition to the hours and minutes, the RM 056 also displays the power reserve (indicating how long before the movement must be wound again). The most obvious difference between the two timepieces is the 50.5 x 42.7 x 19.25 mm sapphire crystal case of the RM 056. With a hardness of 1,800 Vickers, sapphire crystal is the second-hardest material known to man (after diamond) and can only be worked using diamond-tipped tools. Sapphire is a variety of the mineral corundum, an aluminum oxide (α-Al2O3). All three parts of the case are gruelingly cut from blocks of corundum. Machining corundum is tricky: there can be no errors, and at the end the possibility exists that there are hitherto unseen imperfections, which would result in the component being scrapped. The process of creating the RM 056’s case took more than 1,000 hours – 430 hours of which were just to pre-cut and shape the three components and another 360 hours required for polishing to make the material dynamically transparent. 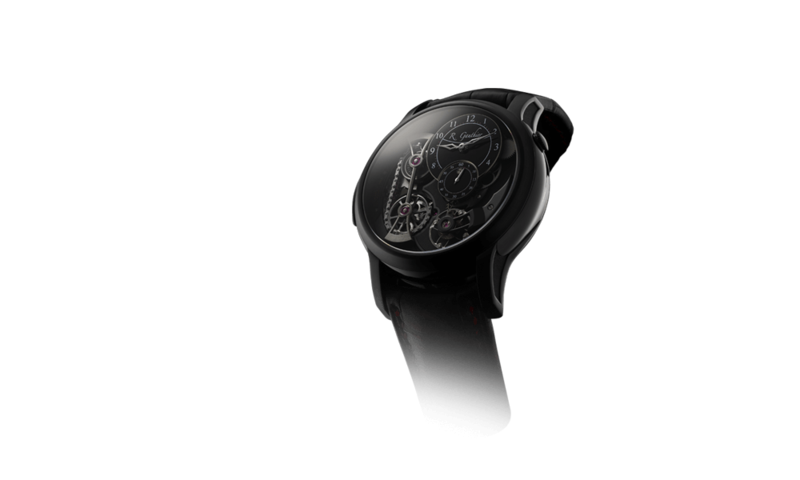 The case is assembled using 20 titanium spline screws (mechanically best for high-torque applications, though not common in watchmaking) and abrasion-resistant washers crafted in 316L stainless steel. To accommodate the uncommon design, the movement was also modified, which required redesigning 400 individual components. The main modification concerned the movement’s skeletonization – a hand-accomplished art of reducing the mass of movement components to their essential minimum in order to make them “airier” using a saw and a file. 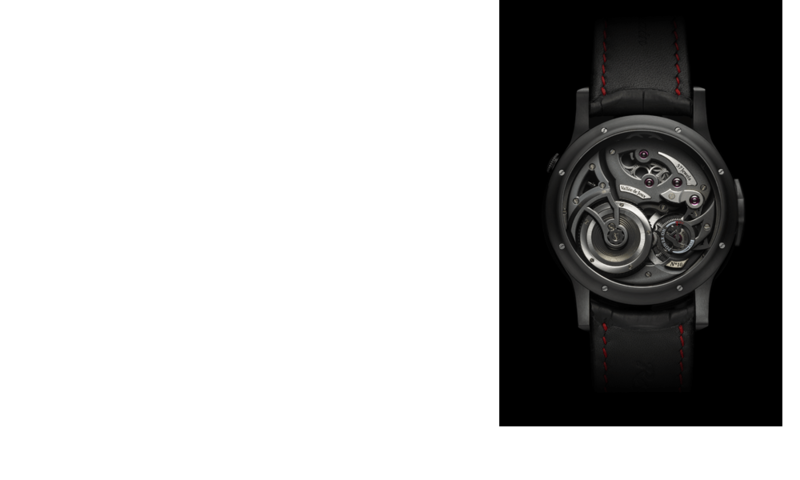 Skeletonization reduced the total weight of the RM 056’s movement by 20 percent. 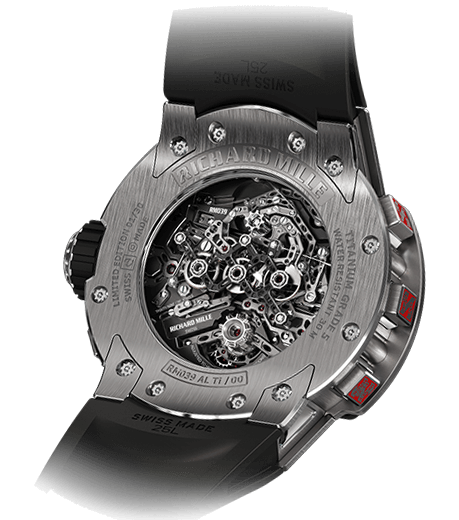 The RM 056 was only produced in a limited edition of five pieces. “This very technical watch is simply too complex to manufacture serially,” Mille explained at the time. 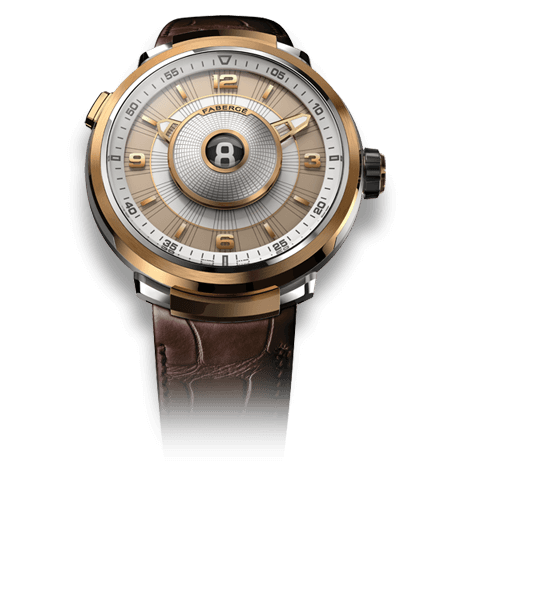 All five pieces were sold within the first 24 hours of its introduction at the 2012 SIHH. The RM 056 at lot 228 achieved a stunning result of $1,207,500; its pre-sale estimate was $1,000,000-$1,500,000. * All auction results mentioned here include buyer’s premium. 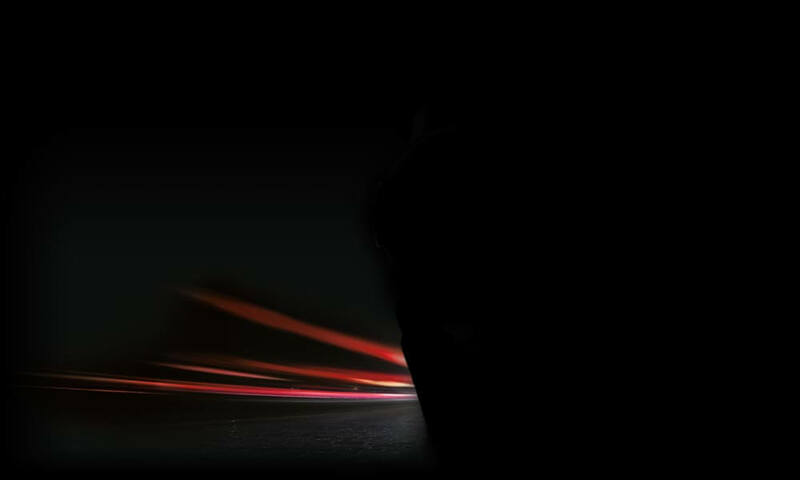 For more information, please visit www.richardmille.com/watch/rm-056-felipe-massa-sapphire.